As the breadth of our communities’ problems seem to grow every day, we believe there is a way to get to the root of these growing issues. With our mission to inspire and prepare young people for success we work to foster student’s belief in themselves and a sense of purpose to overcome life’s challenges. 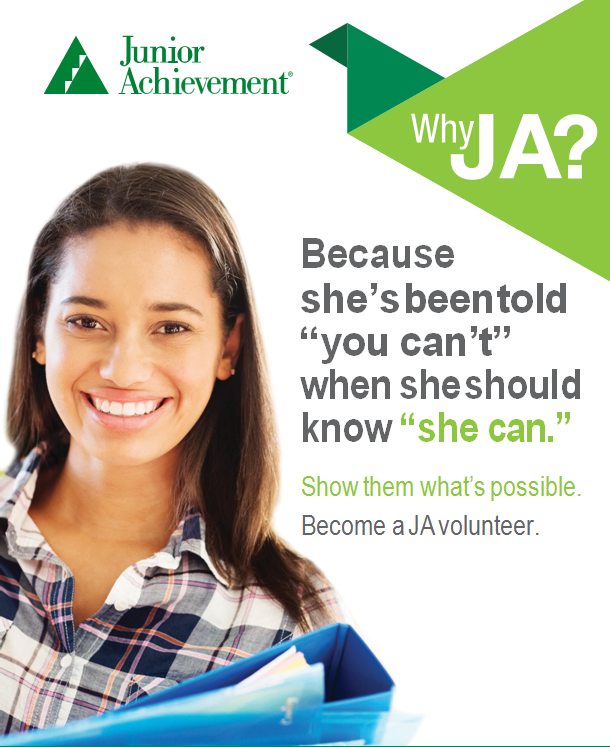 JA can change “I can’t” to “I can” through a scientifically proven approach by showing students how money, careers, and business ownership work. With the help of volunteer role models in proven programs there comes a simple shift to a positive attitude. For more information on Why JA visit the link below.